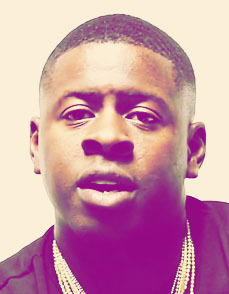 American rapper Samuel “Sammie” M. Benson (stage name Blac Youngsta) was born in Memphis, Tennessee, USA (April 8, 1990). He released his debut mixtape “Fast Bricks” in February 2012. His hit single “Heavy” came in 2014. Sammie has released six mixtapes and two singles. How tall is Blac Youngsta? Blac Youngsta’s height is 5′ 9″ (175cm). What are the most popular Blac Youngsta’s songs? What are Blac Youngsta’s music genres? His music genres are hip hop and trap. What are record labels of Blac Youngsta? He is signed to Empire Distribution, Epic Records and CMG record label. Who with did Blac Youngsta collaborate? He has collaborated with rappers such as Yo Gotti, Rich Homie Quan, Migos, Travis Scott, Waka Flocka Flame, Snootie Wild, Young Thug, and Gutta Child.